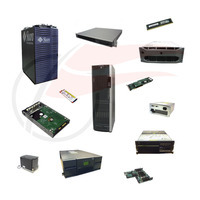 Flagship is a leading reseller of refurbished and custom built Cisco UCS C-Series Rack Servers. Flagship can custom configure any Cisco UCS C-Series Rack Server to your needs. Please contact us for more information and pricing at 763-516-1300 or 1-800-416-8900. Cisco UCS C-Series rack servers offer a little something for every organization seeking to expandability or increased performance. Each product line delivers benefits for decreasing total cost of ownership, managing virtualized environments, and meeting mission-critical needs. They use the most recent Intel Xeon processor line for dependable, fast performance and deliver the features businesses need to get more from an IT environment without the additional cost. If your organization is seeking a cost effective server to fulfill expandability, performance, cost, or density optimization needs, then the Cisco UCS C-Series rack servers are the optimal implementation choice for any infrastructure. Cisco UCS C-Series Rack Servers deliver unified computing in an industry-standard form factor to reduce total cost of ownership and increase agility. Each product addresses varying workload challenges through a balance of processing, memory, I/O, and internal storage resources.